Members of an anti-Iranian terrorist grouping are being trained in Jordan by the Israelis to conduct terrorist operations in Iran and Iraq. Israel is training members of the anti-Iran terrorist Mujahedin-e Khalq Organization (MKO) in Jordan along the border with Saudi Arabia in order to carry out acts of terror inside Iran and neighboring Iraq, Press TV has learnt. 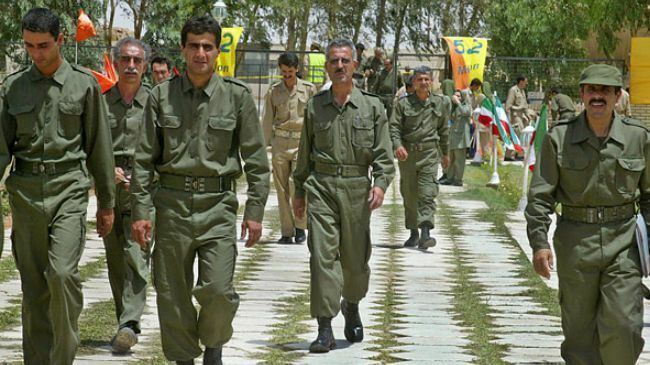 According to sources, who declined to be named, the MKO terrorists are undergoing training on how to conduct terrorist operations in Iran and Iraq and receiving technical as well as information technology (IT) training from Israeli agents. This is the first time it is revealed that anti-Iran MKO terrorists are being trained in Jordan along the border with Saudi Arabia. Earlier reports had revealed that radical extremists are receiving terror training in Jordan before being sent into Syria and Iraq to carry out bomb attacks and join the ranks of the al-Qaeda-affiliated al-Nusra Front, ISIL Takfiri militants and other terrorist groups operating inside both violence-plagued Arab countries. The MKO fled to Iraq in 1986, where it enjoyed the support of Iraq’s executed dictator Saddam Hussein, and set up its camp near the Iranian border. The group is also known to have cooperated with Saddam Hussein in suppressing the 1991 uprisings in southern Iraq and carrying out the massacre of Iraqi Kurds. Out of the nearly 17,000 Iranians killed in terrorist attacks since the victory of Iran’s 1979 Islamic Revolution, 12,000 have fallen victim to the acts of terror carried out by the MKO.